CANCUN, QUINTANA ROO – JUNE 3, 2016 – WeddingWire, the nation’s leading online wedding marketplace, is pleased to announce that CANCUN STUDIOS has received the WeddingWire Rated™ Silver badge for excellence in CANCUN WEDDING PHOTOGRAPHY! The esteemed WeddingWire Rated™ program recognizes wedding professionals who have received positive newlywed reviews of their business on WeddingWire. 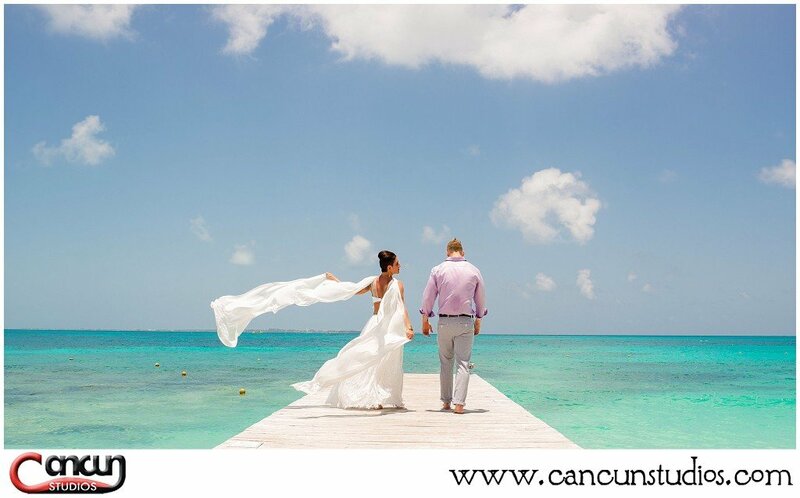 Since receiving additional wedding reviews, CANCUN STUDIOS is now positioned at the Rated™ Silver Level. The program recognizes businesses across more than 20 service categories, from wedding venues to wedding photographers, and requires a minimum of three reviews and an average review score of 3.5 stars or higher. Within the WeddingWire Rated™ program, there are seven different levels that wedding professionals can reach based on the number of wedding reviews they receive (3, 10, 25, 50, 100, 250 and 500). The WeddingWire Rated™ Silver badge is reached when a business has received twenty five or more quality reviews. As a business on WeddingWire, CANCUN STUDIOS’s advancement to the Rated™ Silver Level is an impressive milestone, illustrating the business’ commitment to providing clients with a positive experience. As the world’s largest wedding review site with over one million reviews, WeddingWire is comprised of over 200,000 wedding professionals throughout the United States and Canada. For more information about CANCUN STUDIOS, please visit our WeddingWire Storefront at Cancun Studios at Wedding Wire. Featured as Top Wedding Photographer in Mexico!